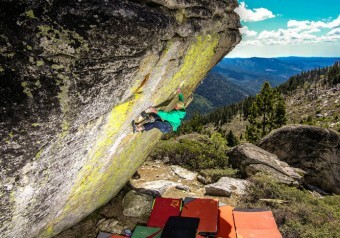 Kyle O'meara snagged the first ascent of one of Tahoe's finest lines this summer with his send of Crown Jewel-V10. 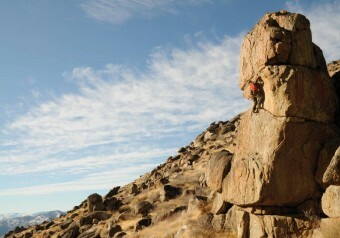 The climb asends a striking 30 foot overhanging wall with sustained moves the whole way. The problem is located at The Ghosts which sits majestically above Phantom Spires.